Now $200 off - hurry, limited time offer! Sometimes a truck bed just isn't big enough. That's why we offer the K2 Mighty Multi utility trailer. This handy little unit is truly the ultimate 1,500lb trailer available today. 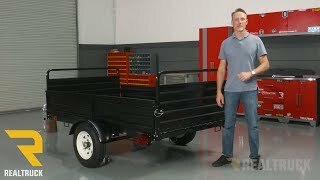 This utility trailer offers a lot of versatility and functionality, whether you need to haul some toys to the lake or if you have some yard work to get done. 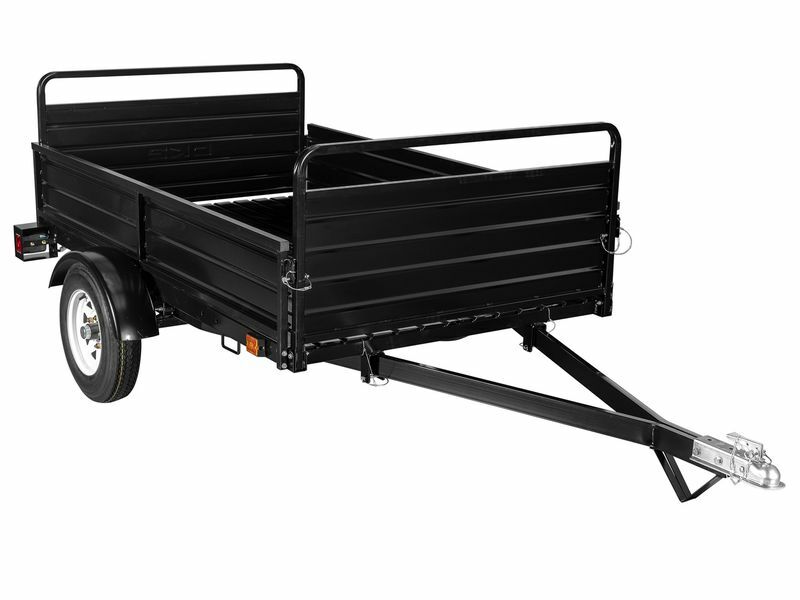 Fabricated from 100% welded, tubular steel, all of the components are reinforced, adjustable, removable, and /or interchangeable, making the K2 Mighty Multi the clear choice and one of the best value trailers on the market today. When the front and back load-bearing gates are down, the bed of the trailer extends to nearly 12 feet and the sides are easily removed. To attach cargo, K2 incorporated tie-downs in six locations. Each utility trailer is carefully packaged to prevent damage during shipping and to help make assembly go fast. Speaking of assembly, everything you need is included and there is no drilling or complicated wiring to do. The average time to get it all put together and on the road is just over an hour. Get your K2 Mighty Multi utility trailer ordered today and save yourself time and hassle. Your new utility trailer comes backed by a one year warranty against any defects in workmanship or materials under normal use and service. Please call us if you have any questions or need to file a warranty claim. Everything you will need to assemble the Mighty Multi trailer comes included. K2 has designed this trailer to be simply be bolted together. There is no drilling or cutting needed. If you have any questions or need more information, you can always give us a call and we will be happy to assist you.